From selfies to portraits to candid shots, clicking pictures has undoubtedly become our all time favorite obsession. And this so called hobby of ours has become even more addictive since the evolution of Smartphones. Now we don’t have to carry the heavy DSLRs with us, our Smart phone’s camera are well equipped with advanced lens technology which keeps us glued to it no matter what we do. Now as soon as we see a random cute pet on the lanes or whether a delicious meal in a restaurant the first thing we do is click a beautiful picture. Well, if you agree on this then there’s no denial in saying that our Smartphone gets clogged with so many pictures and then leading to the unwanted chaos of storage troubles, right? Know More: For How Long Should We Backup Our Data? The best way to manage all your pictures and videos is to take regular backups and store it some cloud location so that your Smartphone is always ready with space. But as we’re too occupied in our daily schedule, taking backups is one task that is often neglected. So, to save you from this hassle here are the 3 most useful (Free) solutions that will automatically backup all your photos from your Smartphone. Let’s discuss about each one of em in detail. Google Drive is undoubtedly one of the best solution to automatic backup all your photos and precious memories. It offers unlimited storage, requires no subscription fees, and is available for both iOS and Android platform. To use Google Drive for automatically backing up your photos, you simply have to download the Google Photos app (Android, iOS) on your Smartphone (if you haven’t installed it already). Now just sign up to your Google ID account and all your photos will get automatically backed up to Google Drive. Dropbox is another awesome solution to automatic backup your photos and videos from Smartphone. When talking about cloud storage solutions Dropbox is already on top of its game. It offers plenty of storage space especially if you’re only using it to store your personal collections. The feature which automatically backs up all your photographs and videos from Smartphone is called Camera uploads. To use this feature launch the Dropbox app on your device and then head on to Settings menu. As soon as you enable this option all your photos and videos will be automatically uploaded on Dropbox cloud locations. Last but not the least of course! Not many of us are aware about this but Amazon Prime is capable of taking care of your precious memories as well. This may be one lesser known feature that rolls out with our Amazon Prime Subscription but can surely make your life so much easier. All Amazon Prime members get unlimited storage for backing up your photos. 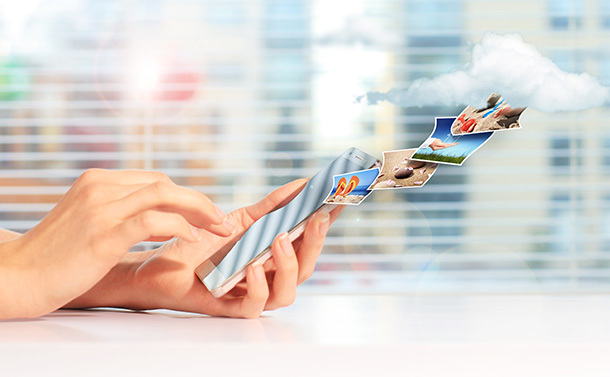 With its Auto Save option all your photos will be automatically saved on cloud servers. But yes, just photos not videos. If you want to backup your videos as well then you might have to try Amazon Storage. So folks, here were the 3 most affordable solutions to take care of your precious memories. Keep your Smartphone light and never worry about reminding yourself to backup photos and videos. You can pick any of the above mentioned options and make your life easier!